We are a small family business, with a deep love of banjos and banjo music of all kinds. 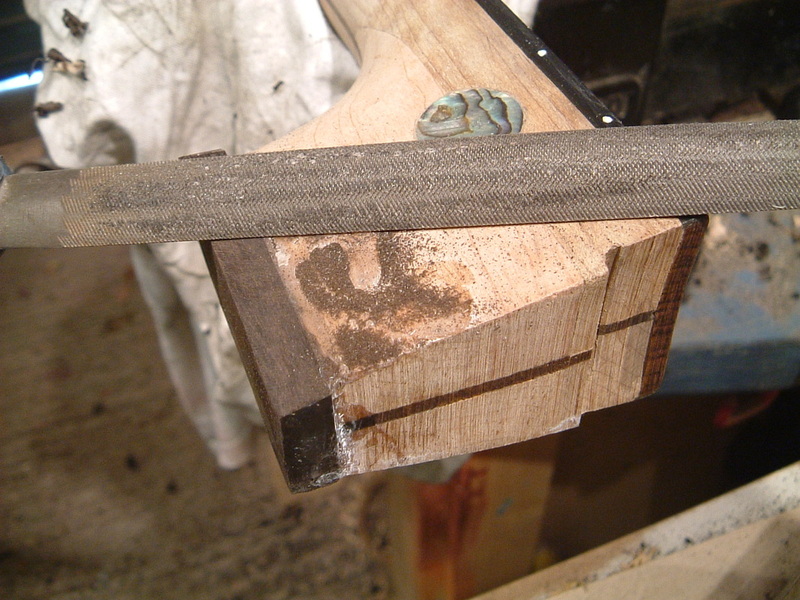 what makes a superb banjo. banjos, usually at a fraction of the price charged by "big name"
All we do is breathe and live banjos. 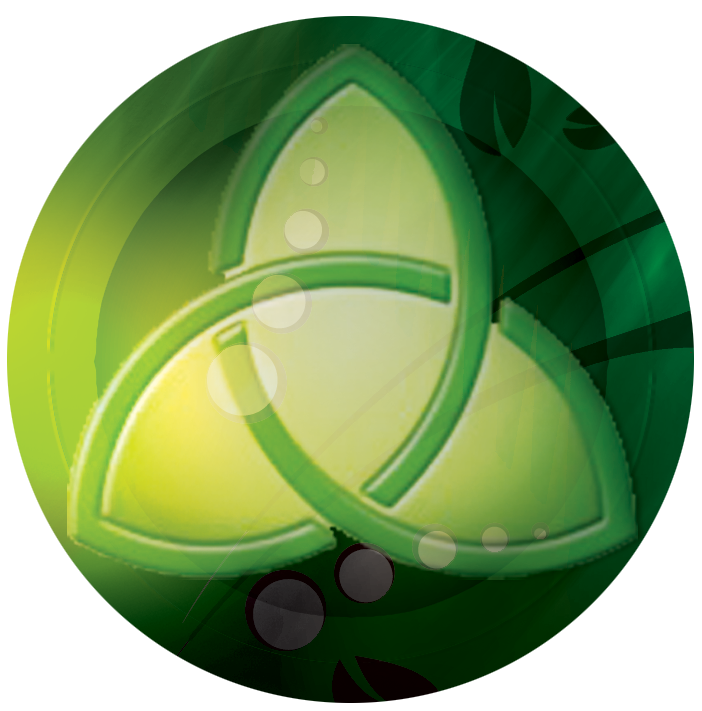 We are based in County Clare, Ireland, and Wiltshire, England. 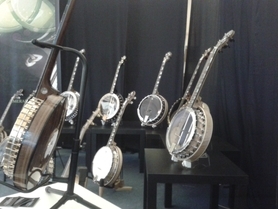 Our planned payment scheme helps you afford the very best lifetime banjo for yourself. Just ask. We use only the highest quality American tone rings, in other words the best. Many of our tone rings are cast specially for us in the USA and machined by us. 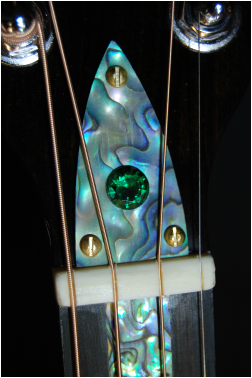 All our banjos are hand made and most have our trade mark real emerald set into them, some models have more than one elsewhere on the instrument. 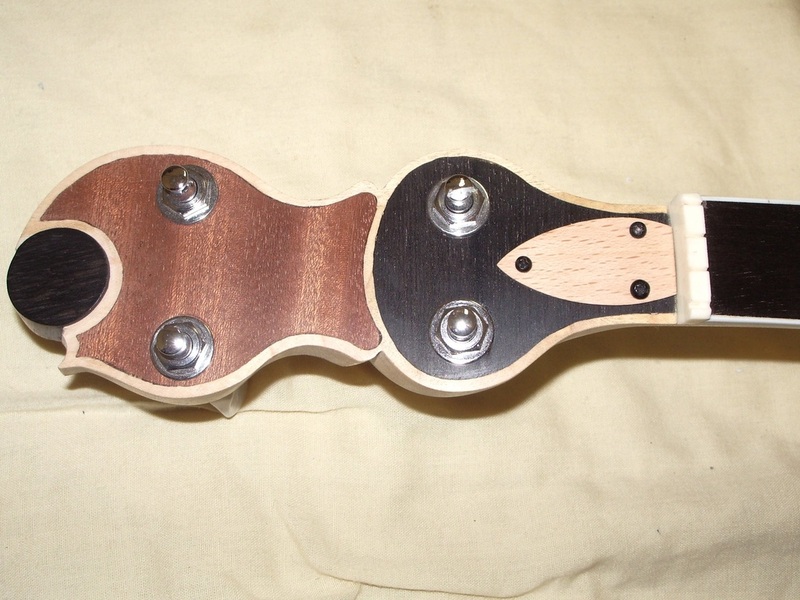 Our new generation of tenor banjos is acclaimed throughout the Irish and Celtic music world. Every banjo has a perfect action and set up, and a truly inspiring sound encouraging the player to achieve the very best of which he or she is capable. 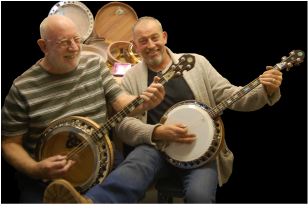 The desirability and exclusivity of our banjos is the result of extensive creativity and huge research and design effort undertaken over very many years. We pursue a dedicated design philosophy which produces the ultimate in stylish visual simplicity, all of which makes our beautiful and distinctive banjos stand out in a crowd. The pursuit of visual simplicity is unique to us. 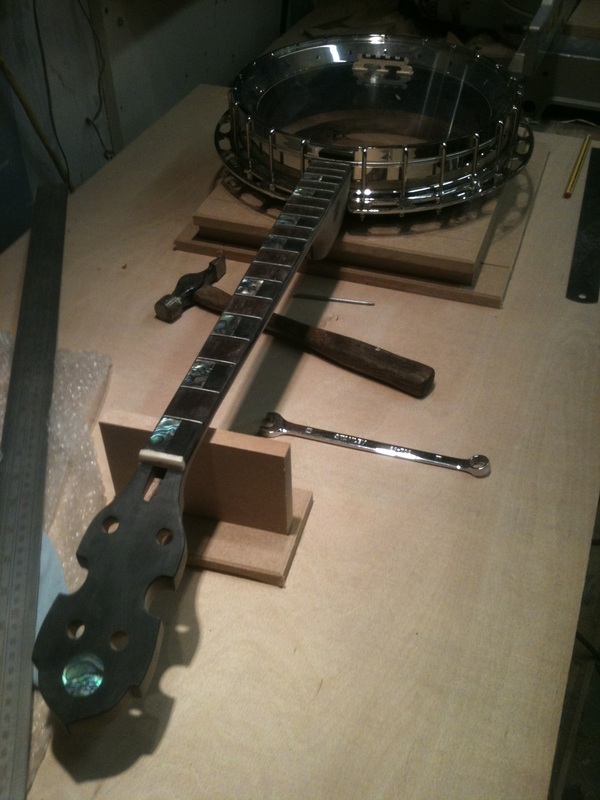 The end result is that we are create superb and exclusive tenor and 5 string banjos. 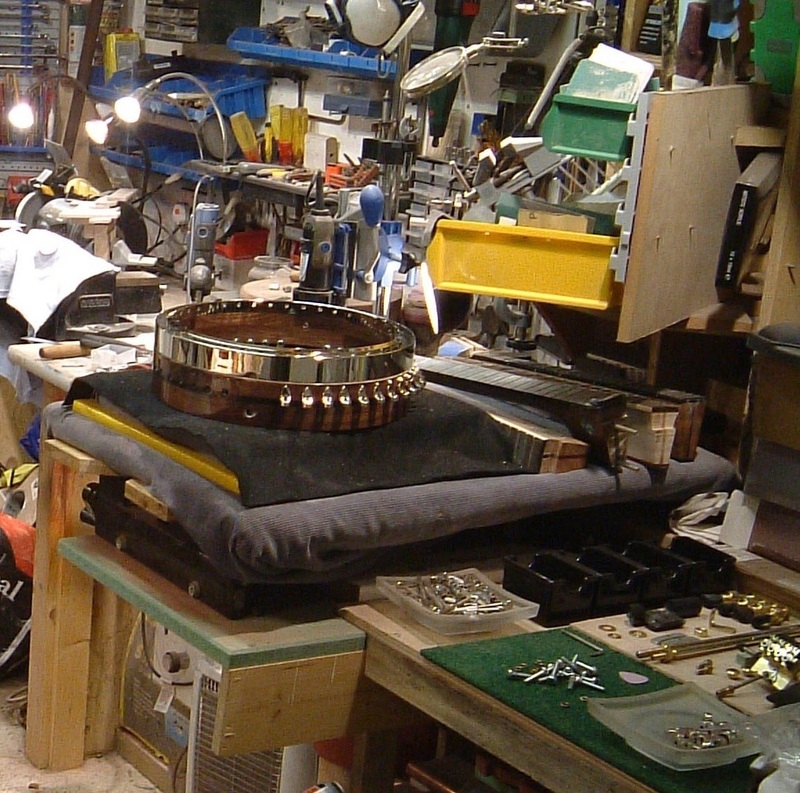 Making banjos is a way of life for Labasheeda-based Graham Jones. His two sons, Adrian and Stewart, are also involved in it, Adrian working on it full-time. A keen musician himself, he has been playing the banjo for half a lifetime. “I started when I was about 30 and I’m 72 now,”he says. Graham likes to meet people and talk about their requirements before he gets to work. “We prefer to sell by commission, because that way people get exactly what they want but we do make speculative ones as well. We like doing face to face, we can talk it through, spend as long as they want identifying what they want. Banjos tend to be rather expensive and they take quite a long time to make.